I’ve been obsessing over all things mobile ever since receiving a hand made frog mobile as a baby shower gift. As a designer I was already predisposed to liking them, after all aren’t Alexander Calder’s mobiles every design snob’s dream art piece? Of course I’d need a proper place to hang one as well, but I digress…. 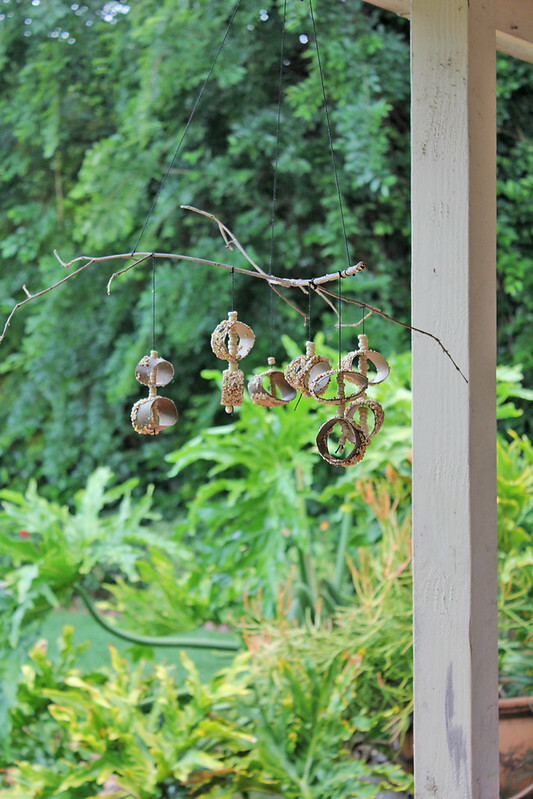 I can’t say that this mobile is even remotely close to a Calder but it’s a great way to combine science and design for kids in one sweet little project: a Recycled Bird Feeder Mobile. 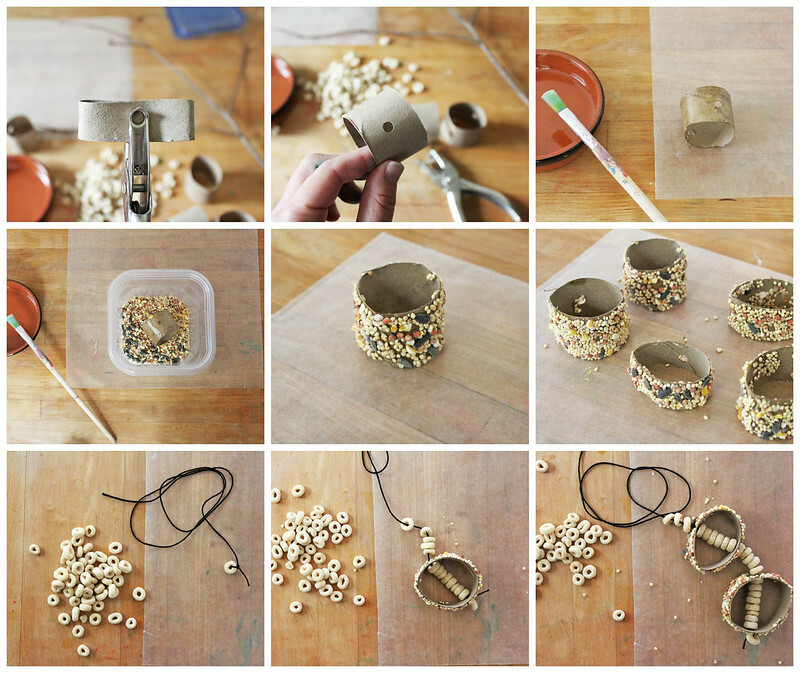 I toyed with a number of ideas for how to build this bird feeder before reminding myself that there is no perfect solution to any project, so go down one path and enjoy the exploration. 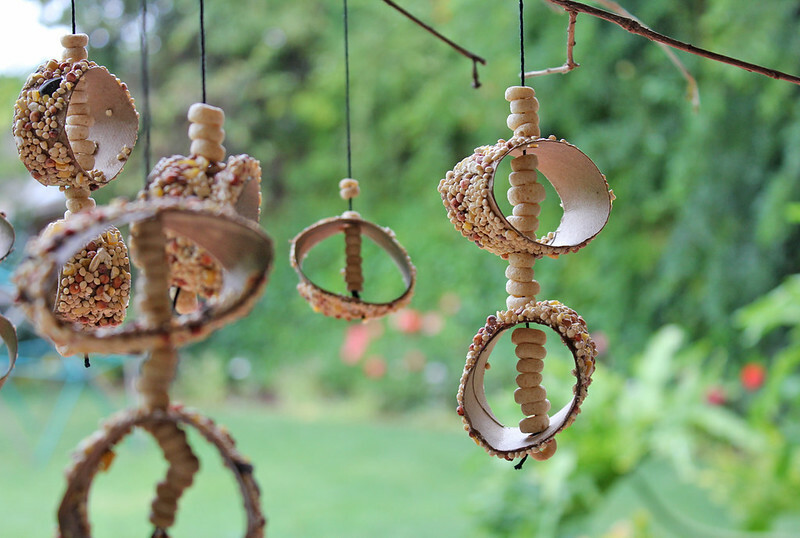 This homemade bird feeder is perfect if you are looking for a kid’s craft focused on nature and recycling with a little physics thrown in for good measure! Side note: FYI I suggest using a stick that has three branches minimum so that a bird can actually land on it and get to the birdseed. My first version was truly a balancing mobile and I saw a poor blue jay dive bombing it to knock the seed off since he couldn’t land on it! 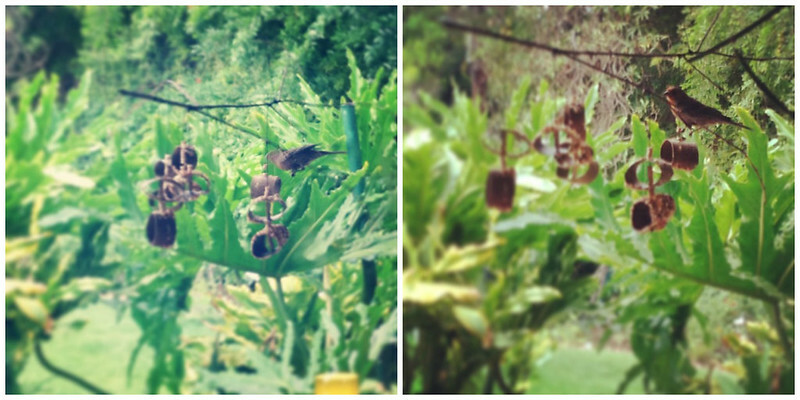 Apparently the birds in my neighborhood are talented enough to pull off the balancing feat, see my action shots below. I’m not sure if this is a physics lesson for kids or for the birds…. 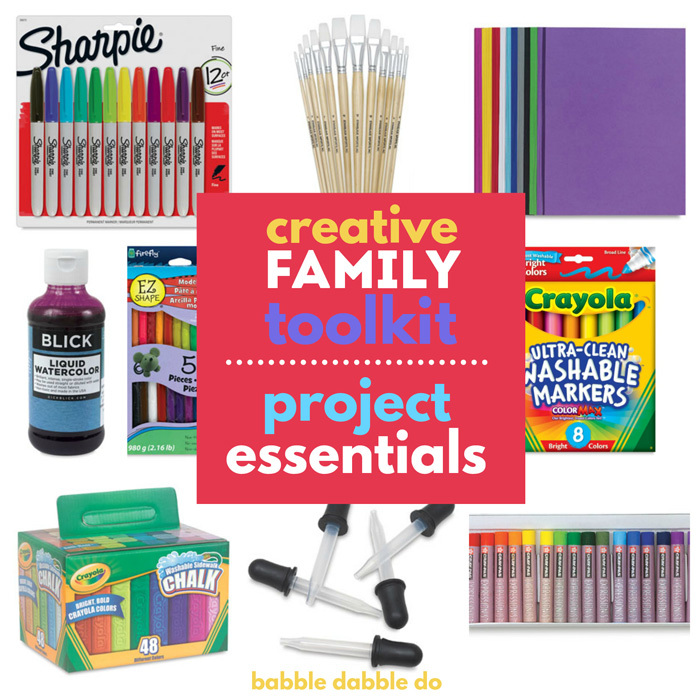 And don’t miss out on more easy art activities here on Babble Dabble Do! 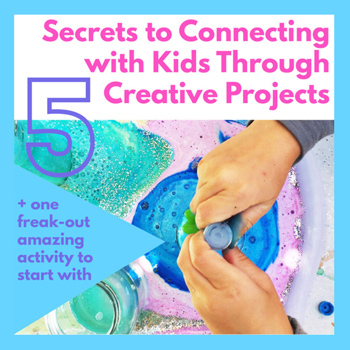 Your child’s inner Alexander Calder thanks you! Subscribe below or like us on FB! Love it! What a great idea! I’m going to try this one (one day)!!! Thank you for sharing! Thanks Jessica! Glad you like it! I love this! I’ve seen so many different crafts, but nothing ever like this. The design & science mix is fantastic! Thanks so much for the feedback Heather! What a great idea! Pinned to make later! Have a great weekend! Thanks so much for stopping by Nici! How fun!! Thanks for sharing this at Monday Funday!! Hi Diane, I’m glad you liked this project too! Made these today with our Toddler Art Share and our 5-9 year olds. This projects had so many great elements! 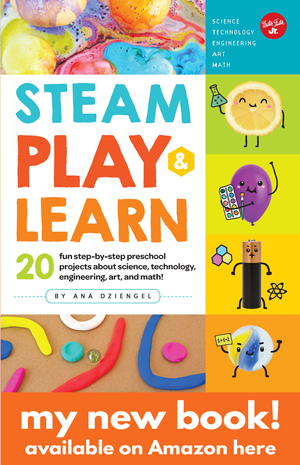 Painting the syrup, sensory play in the seeds while coating the rolls, and stringing the o’s! 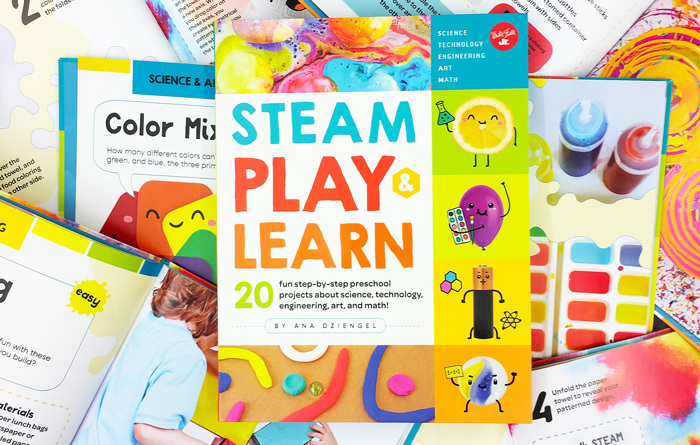 Really fantastic and perfect for all ages 2.5+ to adult! Going to make one for our house now! I will post a photo on my website soon! Yay! This comment makes my day! So happy to see a birdfeeder that doesn’t have peanut butter in it. I have a peanut allergy in my daycare and I’ve never found one without peanut butter. Thank you! Ana, these are gorgeous! Sharing tomorrow on the Homegrown Friends FB page. We will do this tomorrow! (even if it’s still raining) What a fantastic idea! Thanks so much for sharing! I hope they turned out well Deborah! My nine year old daughter had a science project for school called, “Beautiful Junk”. She needed to create something useful out of recycled / reusable items. We found the perfect tree branch in our back yard and made her bird feeder mobile together, having some great mommy-daughter time. We are sure our neighboring birds and her classmates and teacher will enjoy it! Amy so happy to hear it! Post a pic on our FB page if you can! I love this idea and am doing with my after school class — but — worried about corn syrup as it is a processed food and birds can not digest well. Any alternative ideas? Honey? Shortening? I love this. I have 3 kids,-1 science and animal nut (6), 1 craft nut (4) , and 1bird nut (1). This satisfies everyone’s favorite things (except maybe the dog :). Thanks so much for sharing. We will definitely be working on these as soon as our weather gets a bit nicer. We are going to watch the eagles this weekend so maybe right after when they are still super excited about it. Yay! I’m jealous you get to see eagles where you live! Made this today! 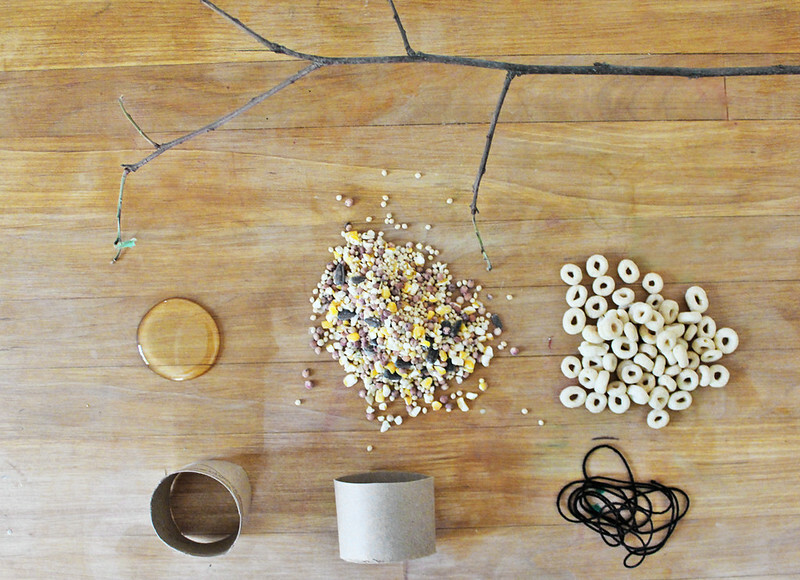 I work with adults with developmental disabilities and this project was a winner, except for stickiness from the corn syrup… but everyone loved shaking the seeds and stringing the cereal. If you click on this link and go to today’s date you will see a picture of our completed mobile. It is really big! we used different sized tubes, but everything else was by the books. Thank you for this fun project. Eek Stephanie! I LOVE IT! I’m sorry I missed this comment before! It turned out so well 🙂 I’m going to share it on our FB page today! I’m so happy to hear this SueAnne!